With the unemployment rate currently hovering around 6% (via Bureau of Labor Statistics), people are more willing to move to where the jobs are. According to data from the U.S. Census Bureau, more than 100 million people have moved within the past five years, and 48% of unemployed individuals have picked up their roots in search of a job. 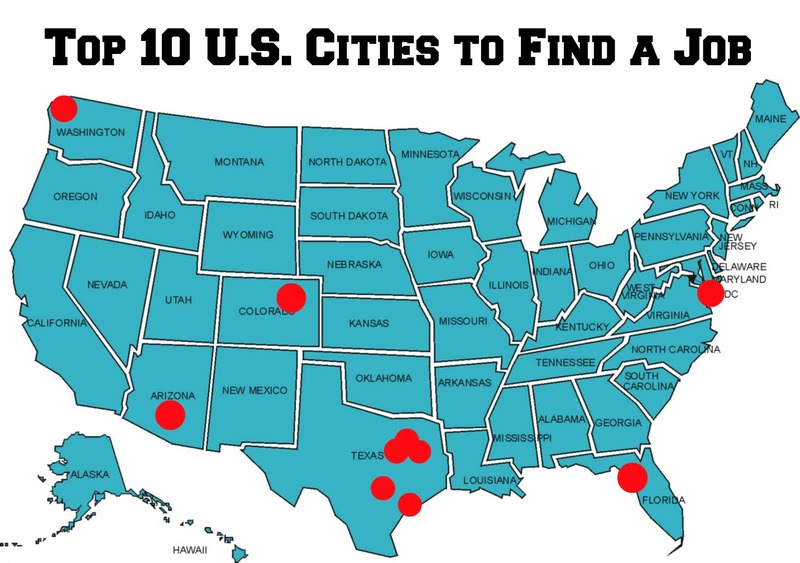 But where should job seekers go to find work? Financial website, WalletHub has the answer. Researchers analyzed 13 unique metrics, ranging from job openings per capita and industry variety to cost of living, and the prevalence of employer-provided health benefits. In addition to identifying the top cities for employment, the researchers organized the data into the following categories: Most job openings per capita, Highest average annual income, Highest median starting salary, Fast-falling unemployment, Fastest growing workforce, Annual Home-buying power, and Most industrial variety. 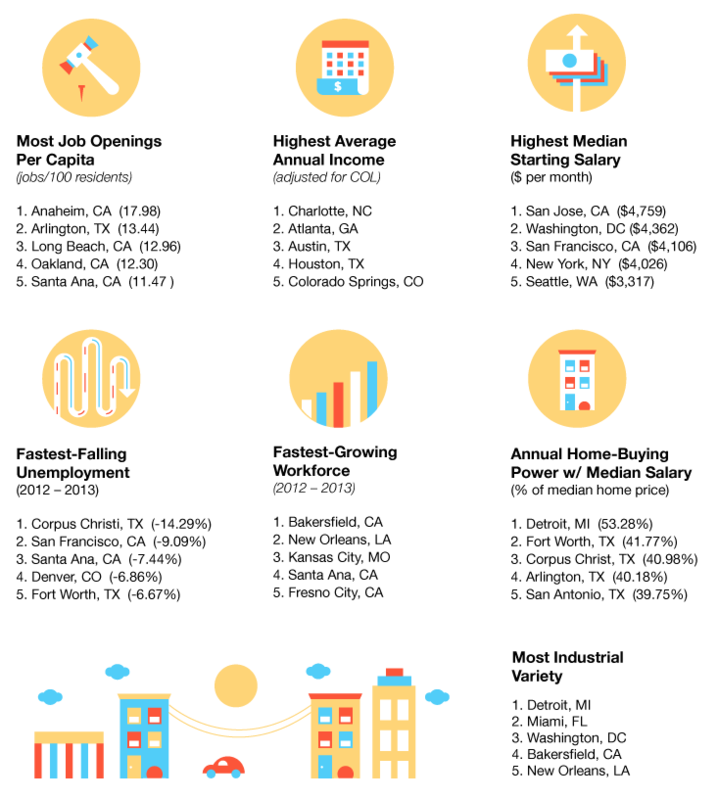 Did your city make the list? Share your thoughts in the comments section.